Antibacterial drug of the tetracycline group. Oxytetracycline dihydrate, which is part of the drug, has a broad spectrum of antibacterial action, inhibits the growth and development of most gram-positive and gram-negative bacteria, as well as certain types of mycoplasmas, rickettsia, chlamydia, large viruses, actinomycetes. The mechanism of bacteriostatic action is based on suppression of protein synthesis in a microbial cell (blockade of ribosome function) and blockade of RNA synthesis. 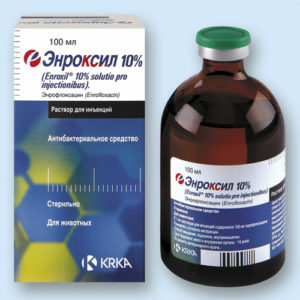 Enroxil® 10% solution for injection is prescribed for agricultural animals with colibacillosis, syptecimia, salmonellosis, atrophic rhinitis, streptococcosis, bacterial and enzootic pneumonia, MMA syndrome, respiratory infections, gastrointestinal tract, genitourinary system, and other diseases whose pathogens are sensitive to Enrofloxacin. 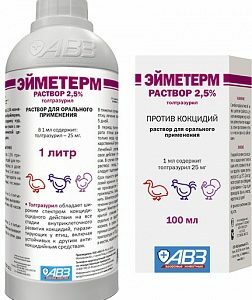 Enroxil® 10% solution for oral administration is prescribed to broiler chickens, chickens and turkeys for colibacillosis, salmonellosis, streptococcosis, necrotic enteritis, campylobacterial hepatitis, hemophilia, mycoplasmosis and other diseases whose pathogens are sensitive to enrofloxacin. 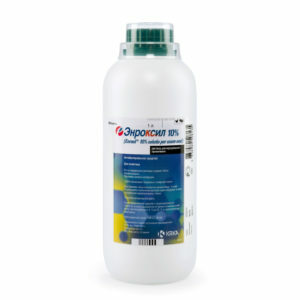 Enroxil® 5% solution for injection is prescribed for agricultural animals and dogs for respiratory, gastrointestinal, genitourinary, colibacillosis, septicemia, salmonellosis, atrophic rhinitis, streptococcosis, bacterial and enzootic pneumonia, MMA syndrome, and other pathogens. 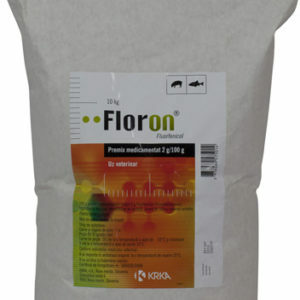 Floron® 30% is used to treat swine in diseases of bacterial etiology: pleuropneumonia caused by Actinobacillus pleuropneumoniae and / or Haemophilus parasuis Floron® 30% is used to treat cattle with respiratory diseases caused by Pasteurella multocida, Klebsiella pneumoniae, Streptococcus pneumoniae, Micrococcus sp. The drug has a bacteriostatic effect on sensitive microorganisms, in the protoplasm of the bacterial cell binds to the ribosomal subunit 70S, which blocks the enzyme peptidyl-transferase, which leads to inhibition of protein synthesis in sensitive bacteria at the level of the ribosomes. 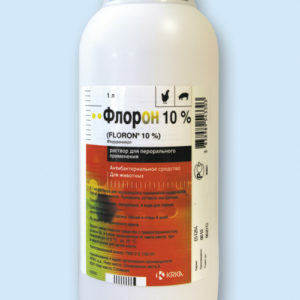 Floron® 10% is used to treat swine with respiratory diseases of bacterial etiology: pleuropneumonia caused by Actinobacillus pleuropneumoniae and / or Haemophilus parasuis. Floron® 10% is used for the treatment of colibacillosis, pasteurellosis, respiratory diseases of bacterial etiology in birds, incl. 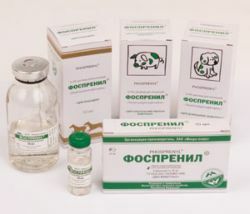 Phosprenyl is administered to agricultural, domesticated, fur-bearing animals and poultry to stimulate non-specific resistance, to prevent and treat viral infections, to strengthen the immune response to vaccine administration, to reduce morbidity and increase weight gain in animals and poultry. 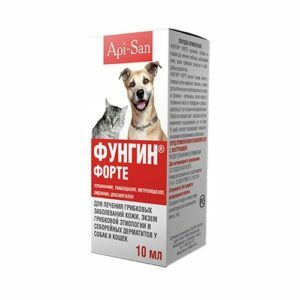 Fungin Forte – a drug for the treatment of fungal diseases of the skin, fungal etiology and seborrheic dermatitis in dogs and cats. 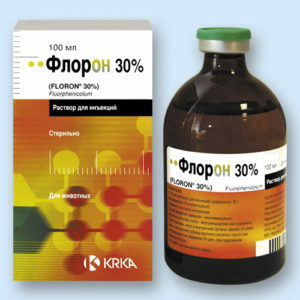 Fungin Forte refers to a combination of antimicrobial drugs. Terbinafine is an antifungal agent of the allylamines group, is active against pathogens of animal dermatomycosis. Fungin Forte – a drug for the treatment of fungal diseases of the skin, a copy of fungal etiology and seborrheic dermatitis in dogs and cats. 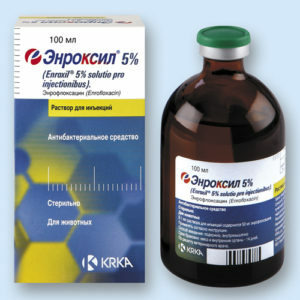 Fungin Forte refers to a combination of antimicrobial drugs. Terbinafine is an antifungal agent of the allylamines group, active against the causative agents of animal dermatomycosis.